“The Lost Tapes” from the german krautrock band released on 18th June 2012. The Krautrock pioneers Can have always been a little cagey about what is and isn’t in their vaults. 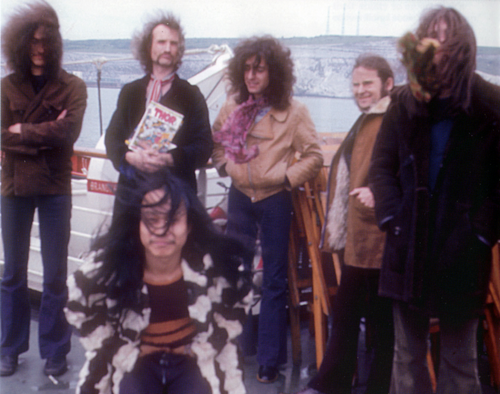 The received wisdom is that the German experimental rock group spent years in their studio, jamming constantly and recording everything, with bassist Holger Czukay editing the most promising tapes into the magnificent pieces that they released on record between 1969 and the mid-70s. They’ve always given the impression that their records were the result of grabbing whatever happened to be nearest at hand; when they’ve gone back into their archives for studio material in the past, they’ve resurfaced with outstanding stuff. Unlimited Edition from 1976, a collection of tapes that were lying around, includes career highlights like “Connection” and “Cutaway”; Delay 1968 is a complete, splendid album that the initial lineup of the band, with cracked American vocalist Malcolm Mooney, recorded before Monster Movie but somehow neglected to release until 1981. When the legendary Can studio in Weilerswist was sold to the Germany Rock n’ Pop Museum, the entire space was disassembled and moved, and in the process, reels and reels of poorly marked and seemingly forgotten tapes were found buried amid other detritus in the studio. 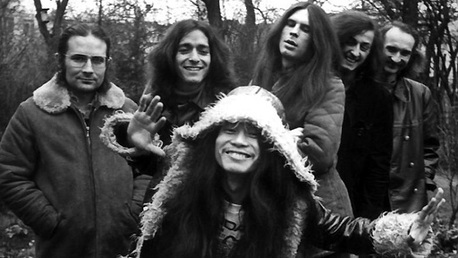 These tapes held over 30 hours of unreleased music from Can spanning a nine-year period and including work from both vocalists Malcolm Mooney and Damo Suzuki. Edited down to just over three hours, The Lost Tapes still includes an extensive amount of unheard studio, live, and soundtrack work from the band, and at its heights is as revelatory and brilliant as the best material on their well-loved albums. For the past 30 years, though, all they’ve hauled up from the archive has been a few discs’ worth of live material. So The Lost Tapes sounded like a very big deal. It was assembled by Can keyboardist Irmin Schmidt and his son-in-law, Daniel Miller and frequent collaborator Jono Podmore, with the latter credited as editor. Early vocalist Malcolm Mooney left the band under doctor’s orders after suffering a nervous breakdown connected with heavy paranoia, and his unhinged vocals characterize collections of early Can recordings like Delay. On The Lost Tapes, Mooney rants his way through the ten-plus-minute “Waiting for the Streetcar,” a charged jam that crackles with all the same kind of energy that would embody the post-punk movement years later. Of the Mooney era, “Deadly Doris” also has the same fuzzy punk vibes meeting the kind of Krautrock groove Can excelled at, while the spoken eeriness of “When Darkness Comes” finds a brittle soundscape of formless tones and menacing muttering. “Halcyon days, not outtakes,” trumpeted the album’s press release. That’s not entirely true. A lot of these tracks are distinctly outtakes: alternate versions of familiar themes, or at least ideas Can executed differently elsewhere. Highlights are bountiful throughout the set’s three discs, with soundtrack work like the hypnotic “Dead Pigeon Suite” and brilliant live renditions of classic tracks from the Damo Suzuki era like “Spoon” and “Mushroom.” “Dead Pigeon Suite”, is 12 minutes of what appears to be exploratory jamming toward what became the taut, densely packed single “Vitamin C”. Some of the material cuts in and out between studio and live recordings, while other studio tracks are extended pieces with well-known album tracks housed in the middle of before-unheard jams. 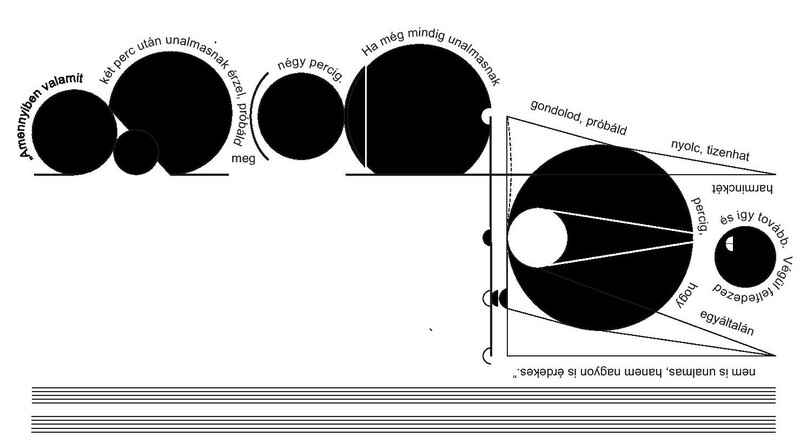 “Messer, Scissors, Fork and Light”, similarly, is Can working out the various hooks that coalesced into “Spoon”. Half-familiar titles turn out to be germinal variations on “Mother Sky”, “Soul Desert”, and “Sing Swan Song”. “Abra Cada Braxas” and “Blind Mirror Surf” aren’t the same songs as Tago Mago’s “Bring Me Coffee or Tea” and “Aumgn”, but there’s a family resemblance. There are lengthy live versions of “Spoon” and “Mushroom”– not the same as the ones that appeared on last year’s Tago Mago reissue, but of similar vintage. — as well as “One More Saturday Night”, a live take of Ege Bamyasi’s “One More Night”. With over 30 hours of material to cull from, it goes without saying that Can loved to jam. 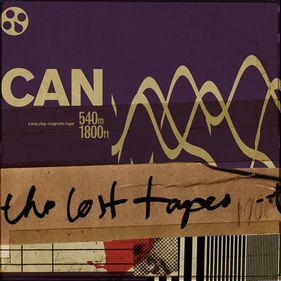 If The Lost Tapes has any shortcomings, it would be that Can’s exploratory nature led them to follow any idea at great length, and several of the songs approach or exceed the nine-minute mark, making the set difficult to digest at once. Some of the live tracks lack the fire of the rest of the set, as do some of the seemingly innocuous interludes. While The Lost Tapes isn’t for every casual listener, the collection keeps from becoming a “fans only” compilation through the sheer amount of ideas and material put forth. Can’s inarguable importance in so many fields of music from experimental to production-minded electronic music, and these lost recordings represent an amazing mother lode to any Can enthusiast and certainly should hold more than enough interesting moments for even a curious new listener. This entry was posted in no wave show on 2013-05-26 by en. I’ve joined your feed and look forward to seeking more of your great post. Also, I’ve shared your site in my social networks!